Low Country Shrimp Risotto, rich and savory family meal. Bring the chicken stock up to the boil then turn down to lowest possible simmer... you don't want to loose it all through evaporation!! Sautée the onions and celery in oil and butter until translucent! Add the rice... stir into to oil and butter mixture coat well! Add stock a ladle at a time. When shrimp turn pink they are cooked! Serve with a crusty banger and a green Salad! 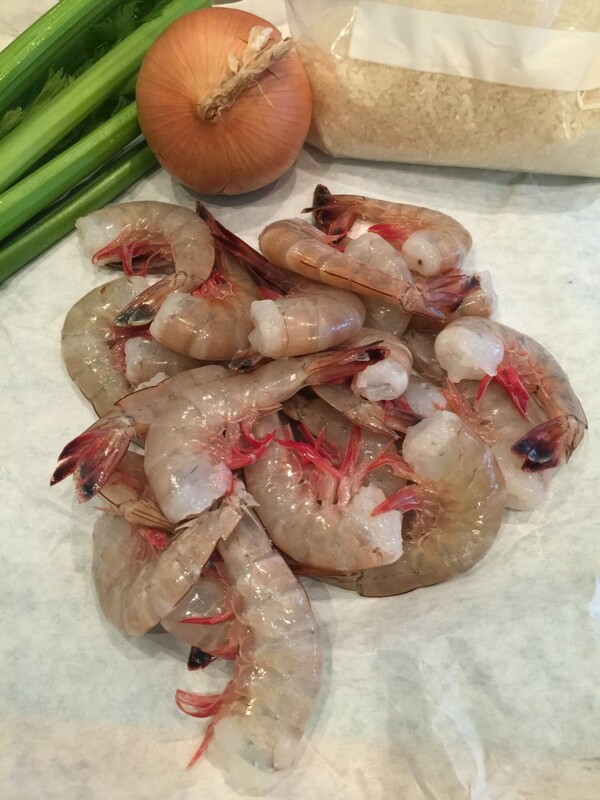 Follow along in the post with all of the pics…Shrimp Risotto! !